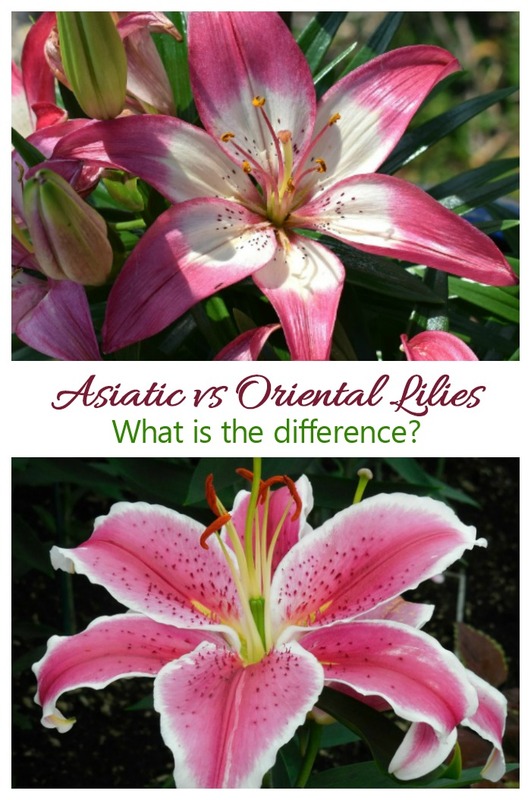 Asiatic and Oriental Lilies - What is the Difference? Asiatic and Oriental Lilies – What is the Difference? Asiatic and Oriental Lilies may look similar but they actually have several differences. 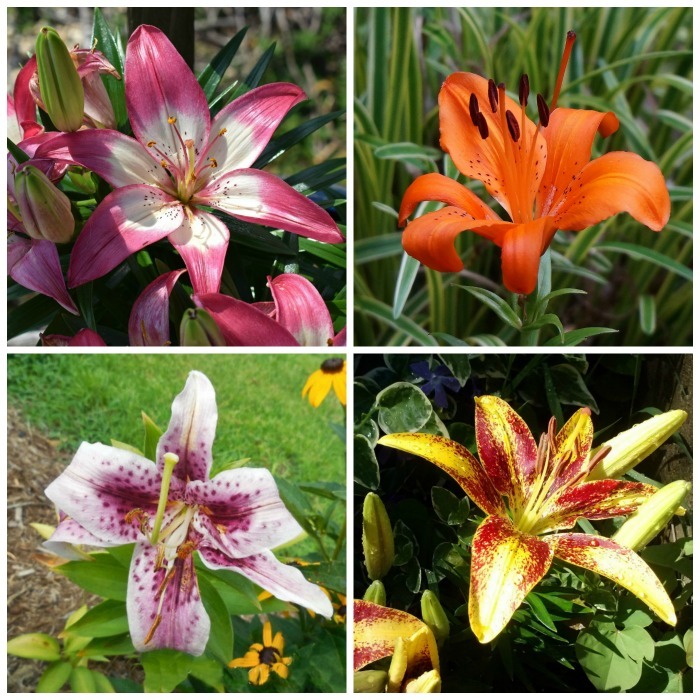 All types of lilies are grown by home gardeners for their dramatic and colorful flowers on long, sturdy stems. Each type has their own particular growing needs, which may make one a better choice for your gardening needs. 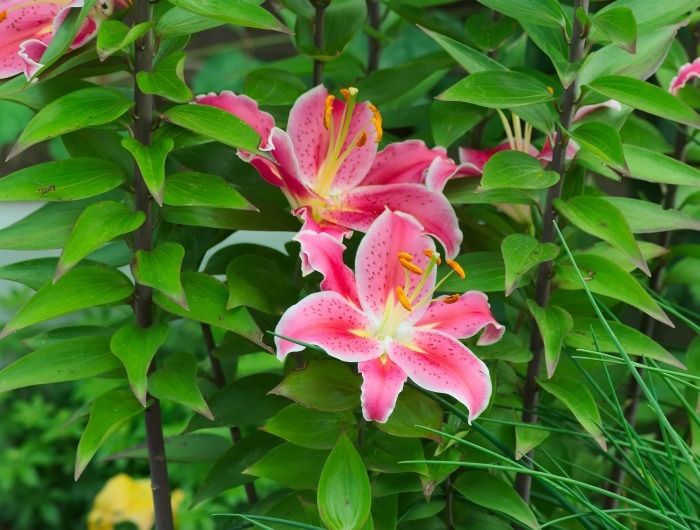 Although these types of lilies look as though they might be hard to grow, they are actually a good choice for beginning gardeners since their care is minimal and they are simple to grow. 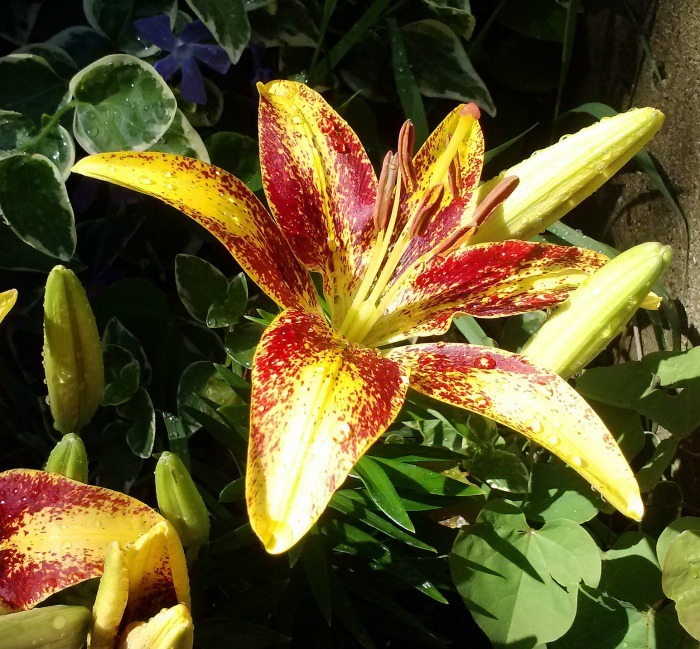 Asiatic and Oriental Lilies – How are They Different? It is easy to see the difference between daylilies and lilum varieties. Daylilies have a dense root system with long, strap like foliage and clusters of flowers on wiry stems. But how about oriental lilies vs Asiatic lilies? Are they the same? It would be easy to look at the flowers of these two plants and think that they are just one type of plant, but this is definitely not the case. The two plants differ in several ways. As the name would imply, Asiatic lilies are native to several areas of Asia. The plants have long glossy leaves and while they can reach mature heights up to 6 feet tall, they are the shortest of the lilies, normally about 2-3 feet. The flowers come in many colors, from deep red to pure white. The blooms are typically 6 to 8 inches wide and some have spots of color on them. Asiatic lilies have no fragrance and will multiply quickly, so the plant can get larger and larger each season. 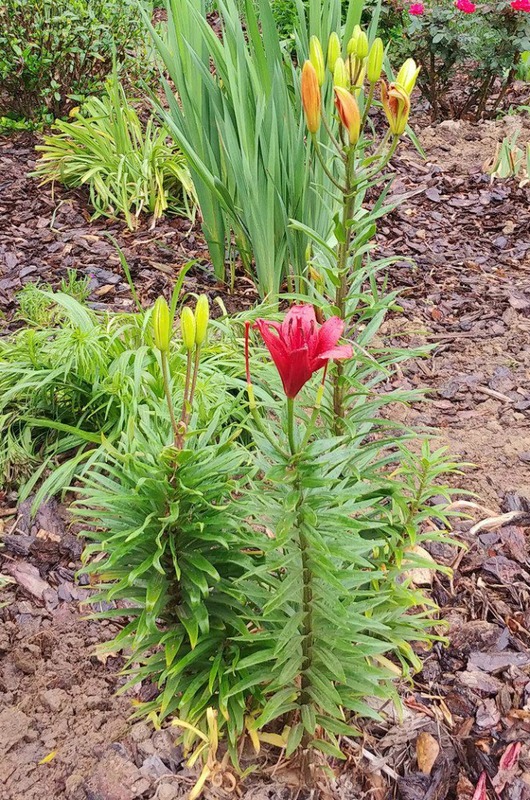 When Asiatic lilies start to grow in the spring they get long stalks and develop multiple narrow leaves up and down the stem. Asiatic lilies require moist, well-drained soil that is rich in organic matter such as compost. They like a full sun location, and grow in most soil conditions. Asiatic lilies require deadheading as the flowers fade. They like to be divided every 3 to 4 years. Asiatic lilies seldom require staking. Japan is the native country for Oriental Lilies. They will reach a mature height of up 3-6 feet making them taller than Asiatic lilies. Some people even call them “tree lilies,” although this term is actually cross between an Asiatic and an Oriental lily. The blooms of Oriental lilies range from 4-12 inches in diameter and are outward-facing flowers that open wide with a flat surface and curled petals. Oriental lilies begin their bloom time when the Asiatics have started to fade, normally in mid to late summer. Their blooms come in shades of white, pink and yellow and they have a lovely and heavy fragrance. The bulbs will multiply but at a much slower rate than Asiatic lilies do. When Oriental lilies first appear they have wider leaf growth than Asiatics. They are ideal for perennial gardens and they also grow well in containers. 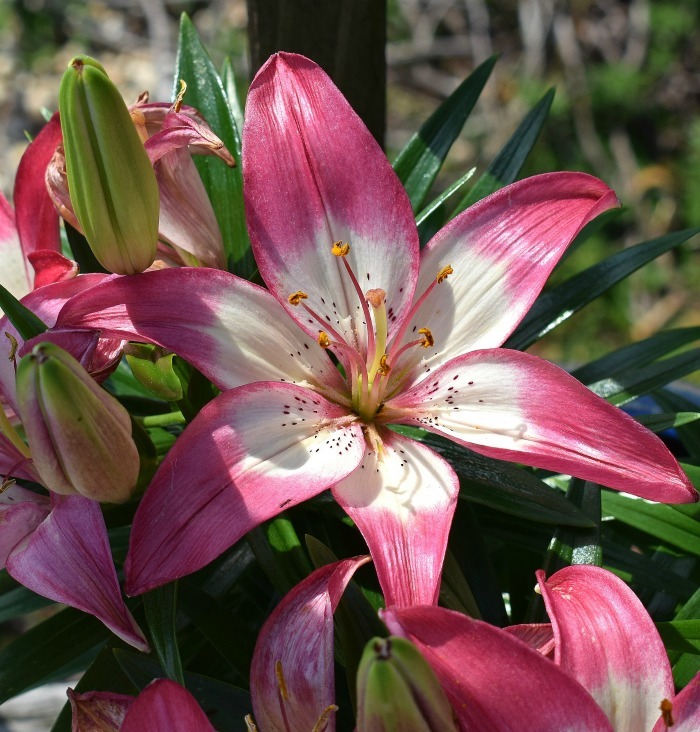 Oriental lilies also like well-drained, but they require acidic conditions to do their best. Adding used coffee grounds around the plants in the soil can help. Oriental lilies tend to grow tall stems that will sometimes need to be staked do keep the stems upright. Both types of lilies vary in their cold hardiness with a range between zones 3 and 10, depending on the type of lily. Check your package or plant tag to see actual cold hardiness zones for your variety. 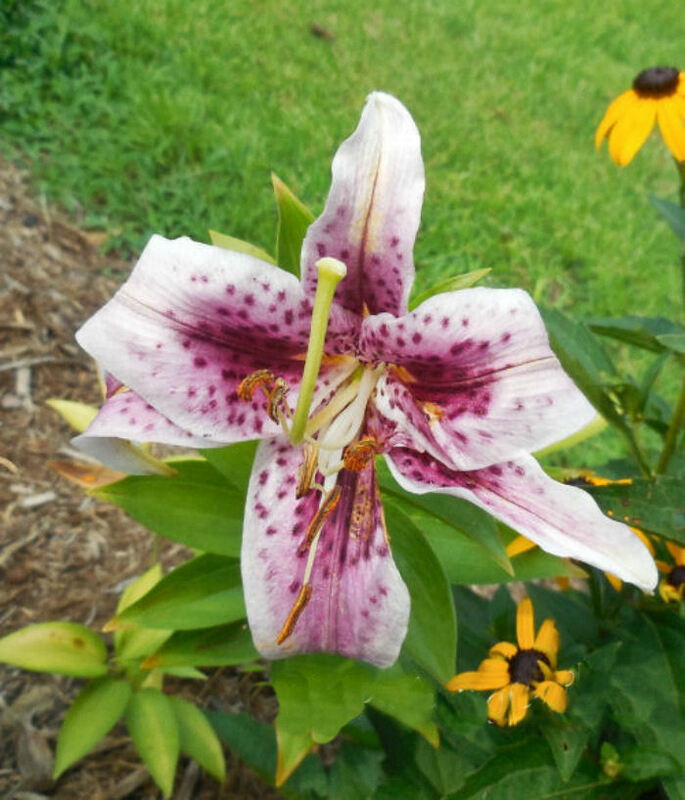 Star Gazer Lily (lilium ‘Star Gazer’) is one of the most popular of the Oriental Lilies. Just looking at the flower will show you why. It is magnificent. 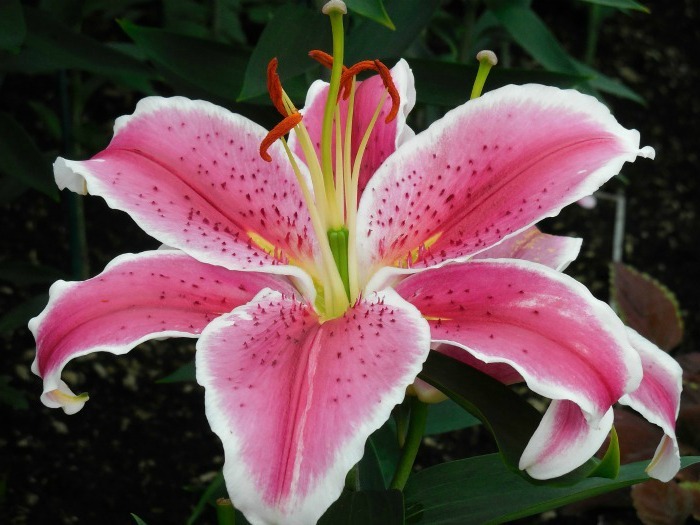 This variety of oriental lily has spectacular pink flowers with dark spots and white edges. It is sure to become a star in your garden. The star gazer lily, like other Orientals, has a heavy fragrance which makes it popular for those who love flowers with a strong scent. If you love a fabulous show in your garden, try growing Asiatic and Oriental lilies. Can’t decide which one to plant? Why not grow both? This will give you a longer show of their lovely flowers. Add in some daylilies, like I do, and you will have months of lily flowers growing in your garden! If you would like to save this page so that you can find it easily later, pin the image below to Pinterest.